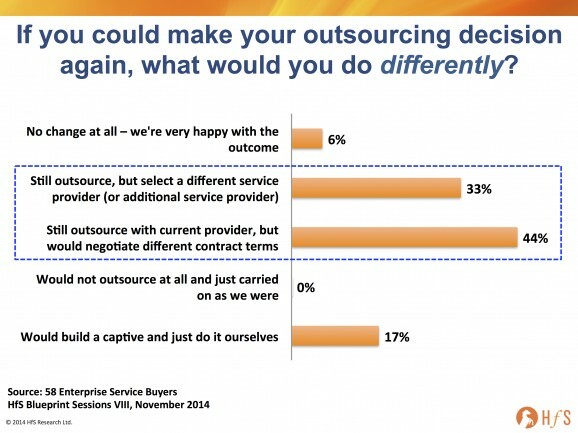 There is good news - and challenging news - for outsourcing buyers, service providers and advisors: most enterprises are pleased they moved into an outsourcing model, but have recognized they need to make significant changes to the way they manage their service provider relationships, if they are to realize real value in the future. We can bemoan for days the struggles so many outsourcing clients are going through trying to achieve value beyond cost, however, the happy reality of today's outsourcing business, is that most services buyers are only expecting their service providers to be agents of cost-reduction and efficiency. These expectations change as processes become more efficient and governance skills develop, which is when service providers will be held to task to bring new capabilities to the table, namely automation, analytical prowess and process reinvention, which we will reveal shortly. However, for now the industry is - by and large - a reasonably happy place to be. It's the next phase of business transformation with will separate the wheat from the chaff... a phase we have already entered, even though many have not yet realized it. Very good analysis. It's clear to me from this that the outsource model is working - we're just seeing services firms struggle to convince their clients they can do more than drive savings. 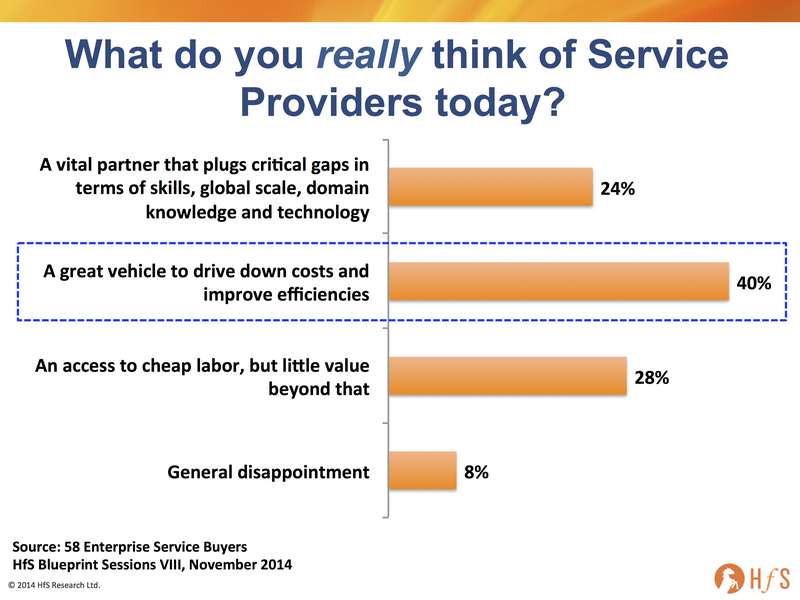 It also begs the question whether many clients have genuine ambitions to use providers for more than low cost support. Nice article, confronting results in the questionaire. Indeed the Service Providers must meet the "as-a-service" demand economy as you called. More SaaS, more standard services and software. Raw, but true. Insightful stuff. Outsourcing runs the risk of becoming an interim step for many firms who are micro-focused on cost - once they have milked the labor arbitrage, they will look at new means for further savings and this will lead them to areas like automation and process redesign. 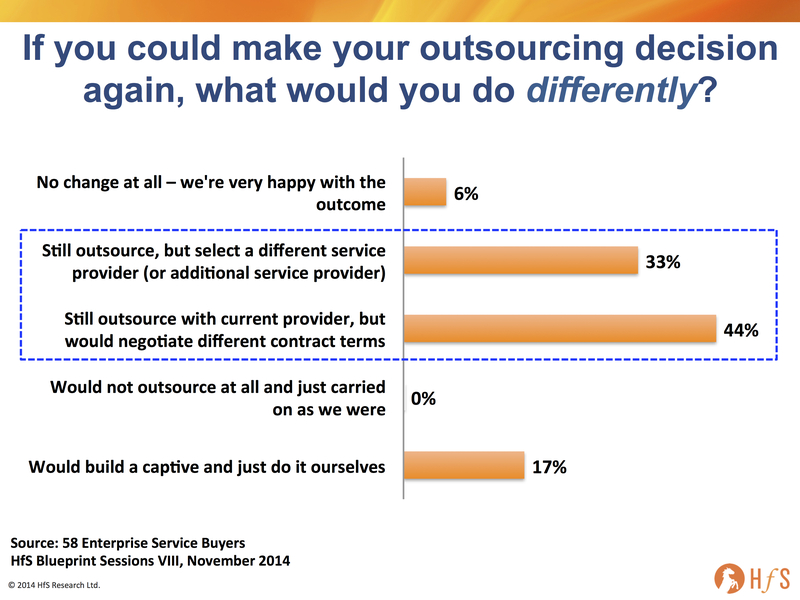 As the data points out, many clients will look at alternative suppliers when they need to move to the next level. 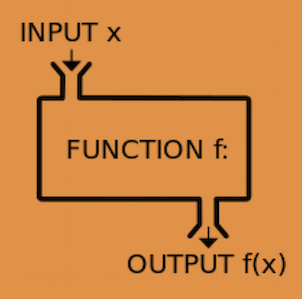 Very good article with statistics. Most outsourcing fails to deliver value beyond cost, and many buyers struggle to find the best approach with a current provider. Will be interesting to see how many providers adapt to this market environment and deliver more value other than just cost advantages. What Arnie says is true actually. it was started as a learning process, moved on to be a collaborative process .. there are still some irritants and lets calll it disputes but by and large i also think it is largely irreversible... There should have been or rather let me put it this way, there should be more effort on innovation and change and solutions and improvements. Leslie Wilcox and Mary Lacity of Oxford U presented a paper, think it was late 90s/early 2000. The figure was then 70% across US, UK primarily of customers who wouldnt go back. I believe in addition to the as-a-service disruptive models, though primarily in small businesses, the mindset of customers has changed to expect as close to 'ouput/outcome based pricing' models. The other aspect from personal observation is that most customers do not defines measures and/or what success looks like over 3, 5, 7 year periods. On the supplier side, believe there is not enough effort to drive innovation and transformation and if we delve deepeer into reasons why 33% of customers as per graph would change suppliers - this one element would be top of the list. Phil, great article and an interesting topic. How do buyers get that trust to allow higher complexity items to be sourced to get to that next level of value? A great follow up discussion, as it creates this 'middle place' where buyers want more, are tentative to give up more (for fear of loss of control or trust), and then result back in the lower cost 'happy place'. I also appreciate the analysis of would you go back, as buyers get more sophisticated with vendor mgmt it begets the question "shouldn't we do this ourselves?" It's a critical pause point to really step back to see what industry expertise your supplier is bringing, what leverage they provide for you to focus on other initiatives and how to take advantage of supplier technologies and scale. I also challenge everyone to really continue to ask the question 'what really is value to me?" Keep up the good work!!! My own experience has shown to me over the past (many many) years the crux of the service provider not delivering value or meeting expectations is found in the commercial T&C's of the agreement. In the final negotiations, the procurement organisation strips back all the added-value focus to drive a contract based on transactional measurements, arbitrary derived SLAs with service credits and penalties that have little or no validity to the outcome that was envisaged. Excellent article. Some exciting challenges ahead for legacy service providers. The research appears to point to an excellent disruption opportunity for nimble As a service providers with robotics, process automation and rapidly deplorable solutions. Really interested in testing the dynamic around reticence to outsource high value activities. Think this still fundamentally highlights a lack of trust in many outsourced relationships. Keep up the good work. It's a very incisive article. Great statistics. I believe that it's good to look at outsourcing as 'partnerships'. Too often, enterprises indeed think about a 'service provider' > we're customer, they are provider, let them deliver. By moving into a marriage, a real partnership, companies have a joint interest and a partnership (as a marriage) produces more positive results.